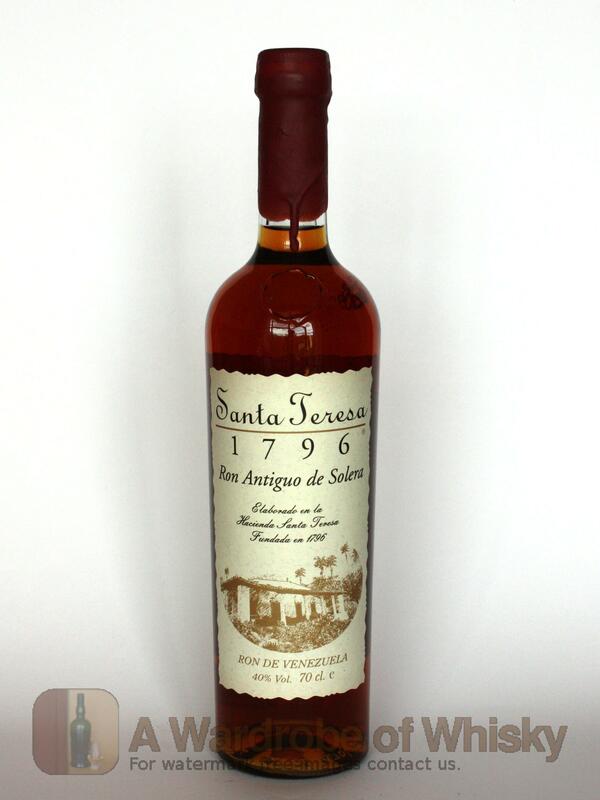 Master of rums and the flagship of the house, Santa Teresa 1796 results from a careful blend of Santa Teresa’s finest aged spirits ranging from 4 to 35 years that is then further aged in a style borrowed from the Spanish sherry producers. 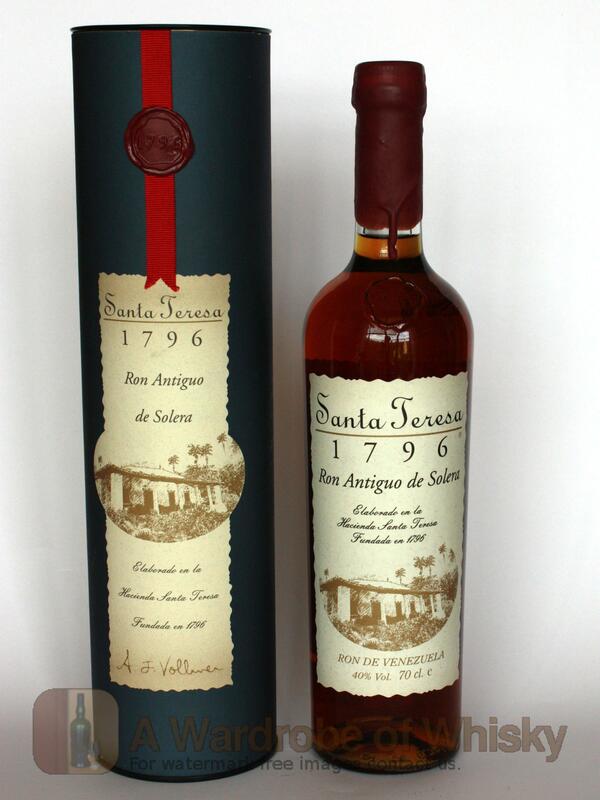 Santa Teresa 1796 is the first premium añejo rum in the world to be aged in the Solera method: a cascade process in four levels of oak barrels that combines barrel ageing and cask "crianzas." The blend of añejo (aged) rums enters the top barrels and is aged until it reaches a desired level of maturity. Half of the contents of the top barrels are then transferred to the oakbarrels below that have also had half of their contents removed and transferred to the barrels below and so on until the fourth set of barrels. When the cascade is concluded, the golden liquid is transferred to large Limousin oak casks that, again, are only ever half emptied thus producing even softer and rounder rum. This system is unique in Venezuela and the Rum industry. Nose (92): strong. sugar cane, floral, vanilla, light, brown sugar, cocoa, wood, tobacco. Taste (92): smooth, oily, powerful. brown sugar, sugar cane, burnt sugar, wood, spices, vanilla. Finish (88): long. brown sugar, spices, pepper, sugar cane. 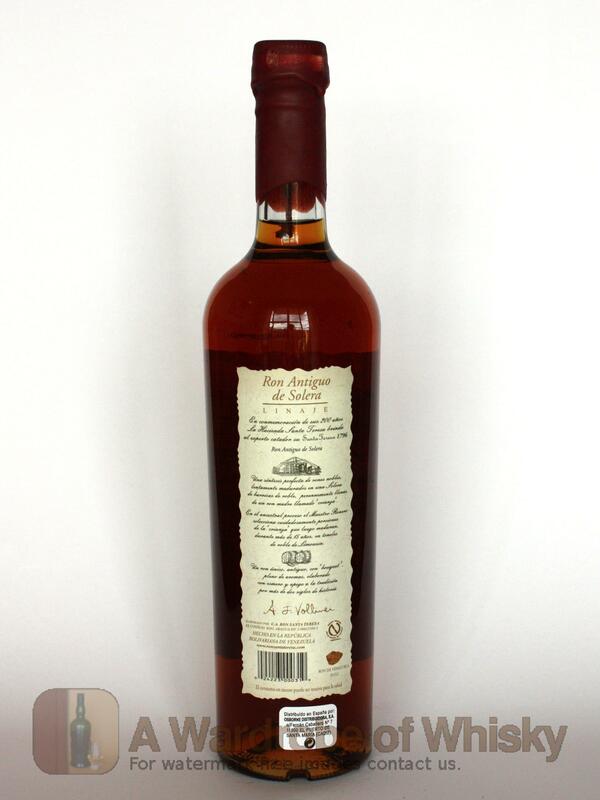 These bottles have been chosen over others because their nose, taste and finish are more similar to Santa Teresa 1796 Ron Antiguo de Solera than the rest. Go to Whisky-o-matic page to fine tuning other settings.